How do I send a message to an individual learner? 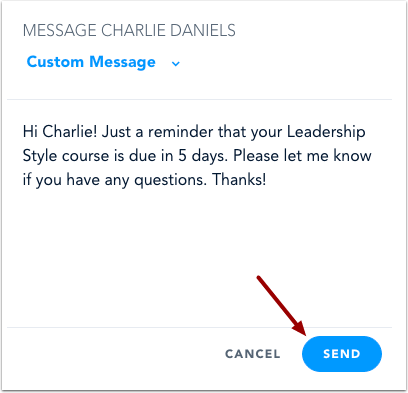 Account admins can send a message to an individual learner in your Bridge account. Messages are sent to the email address in the learner's profile. Messaging is a one-way feature; learners cannot reply to messages. Notifications must be enabled for the account. If a learner has been unsubscribed from email notifications, the learner will not receive any messages. 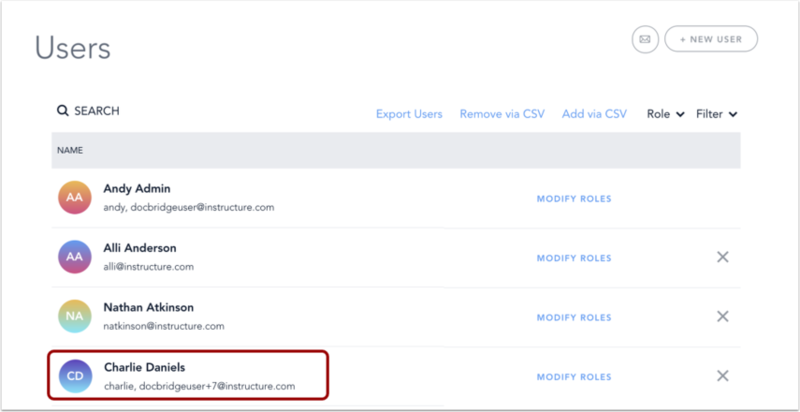 In the Users and Permissions menu , click the Manage Users link . Click the name of the learner. On the Learner Details page, click the Message icon. 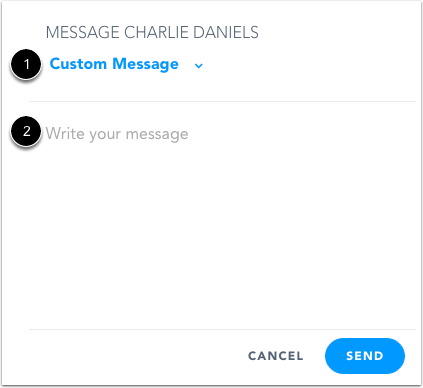 The Custom Message option is the default in the message drop-down menu . In the text field, enter the content of your message . Confirm your message was sent. Note: Messaging is a one-way feature; learners cannot reply to messages. Previous Topic:How do I send a message to all learners in Bridge? Next Topic:How do I export learners from the Users page? Table of Contents > Manage Users > How do I send a message to an individual learner? How do I export learners from the Users page? How do I send a message to all learners in Bridge?